Upon visiting Rother’s website, I obtained the following 2017/8 facts to help the electorate, which may interest readers. East Sussex County Council – population approximately 500,000. It has 50 County Councillors of whom 30 are Conservative, 11 are Lib Dems, four are Labour and five are Independents. Thus the Conservatives have a majority of 10. Next election: 2021. Maynard is both controlling group leader of our Rother District Council and chairman of an ESCC Committee. Rother District Council – population approximately 90,000. It has 38 District Councillors of whom 30 are Conservative, five are Independents and three are Lib Dem. Thus the Conservatives currently, have a majority of 22 (despite everything!). Next election: May 2, 2019. Within Rother: Bexhill has 17 District Councillors (nearly half of Rother’s total), of whom 14 are Conservative, and three are Independent. Of the 14 Bexhill Conservative Councillors, nine voted against having a Bexhill Town Council, the other five either did not attend the council meeting or abstained! One can now clearly see why the Controlling Group does not want a Bexhill Town Council, the political power lost by them would be huge – despite the great advantage to Bexhill’s residents and a significant improvement in service provision. Since every other area of Rother has either a Parish or Town Council (apart from Bexhill) the former being totally financially acceptable to Rother’s Cabinet, their decision was only ever going to be for political advantage and no other reason. Since the population of Bexhill is approximately half that of Rother, one can assume about half the Council Tax raised for Rother comes from our town, Bexhill. In addition funds provided to Rother by developers for infrastructure improvements is mainly, presumably, from Bexhill where a large proportion of new development is taking place. 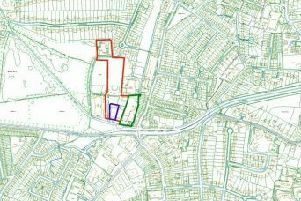 It has been suggested that Rother is to receive £2m from the proposed Spindlewood, Bexhill development. I am sure that I will be corrected on the latter, if this be wrong! The Rother website provides attendance records May-Dec 2018, for all Rother and Bexhill Councillors, these make interesting reading! To be clear all the above councillor figures come from the official websites, any errors are theirs! Look at the state of Bexhill’s infrastructure, the condition of the few remaining public toilets, the lack of the much missed Central Help Offices, a tourist attraction with no Tourist information Centre and the Conservative controlled Rother Council ignoring the expressed wishes of the electorate in five, yes five, so called ‘consultations’. Bexhill residents will have recently received their 2019-20 Council Tax bill –it’s interesting that the only area in Rother NOT to have an increase in funding is Bexhill, a cut of 8.7 per cent! I hope readers would agree with me that we all have a duty to vote but also not to vote blindly in local elections for the same party one would vote for at Government level. Local Democracy has different and specific needs, especially here in Bexhill, where currently we are demonstrably ill served.